What is the best book you ever bought for yourself? And, why? What made it the best? What made it so special? 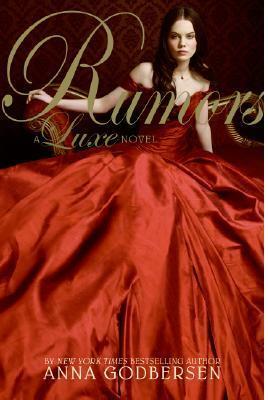 The best book I have ever bought for myself is probably Rumors: A Luxe Novel by Anna Godbersen (the second one). I love the series and the second book was uh, the best one so far. I just love the way Godbersen writes. I love how the characters are… the plot, everything. I can’t wait for the next one which I will also buy with my own money, if that’s what it takes. Do you give books as gifts? To everyone? Or only to select people? How do you feel about receiving books as gifts? Yes, I give books as gifts. Not to everyone because not everyone I know loves to read as much as I do to want books for gifts. My friends don’t really read much, except once in a while… so I can only give them a book I KNOW they will positively love. I LOVE to receive books as gifts. They make me so friggen happy. Especially if it’s a book I’ve been waiting around for (uh-hmm, that’s why I have a Wishlist on Shelfari!). I hope I get books for the holidays! You are currently browsing the What Vanessa Reads blog archives for the day Thursday, December 18th, 2008.